"I want a guy in a hot dog suit on my coffee table!" Marketing Fun With Mike has three books available for purchase below! The Passionate Marketing Revolution: The Time is NOW. "The Passionate Marketing Revolution: The Time is NOW" is my 3rd and newest book. Purchase a paperback copy from Amazon HERE or get it on Kindle HERE! 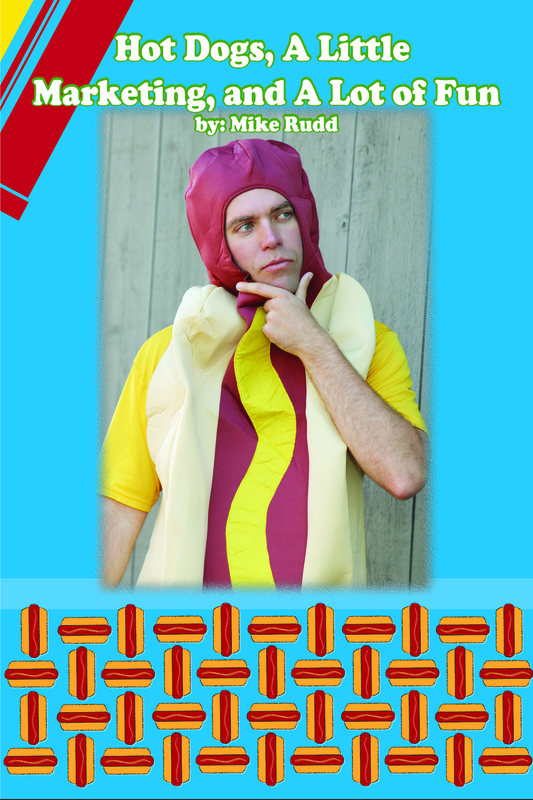 "Hot Dogs, A Little Marketing, and A Lot of Fun" is my original book that is tasty as a hot dog fresh off the grill! It helps you realize we are all meant to do something great in this world, how I came to this realization in my life. and 10 tips to make selling your purpose once you decide it much easier. Purchase a copy from Amazon HERE! When can I KETCHUP and find my Hot Dog Stand? "When can I KETCHUP and find my Hot Dog Stand?" is my second book that sets you on the action course to living your hot dog stand, aka passion and calling, in life with 10 Action Steps, worksheets, and activities to fill out as you turn one of your passions into a career.